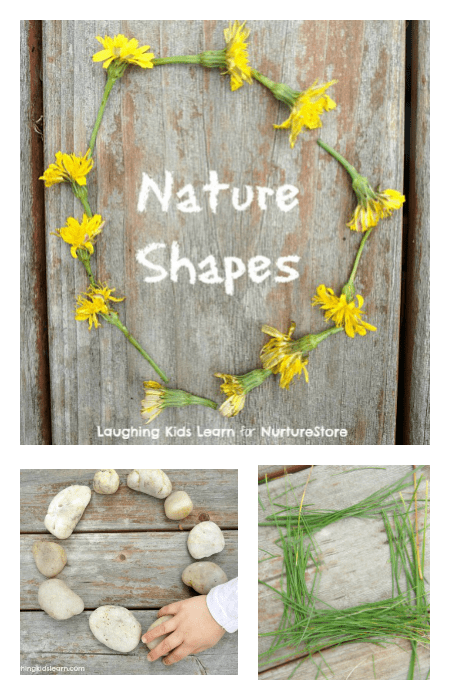 Please welcome Kate from Laughing Kids Learn to our ABCs and 123s series today as she share this super idea for nature shapes outdoor math activities. 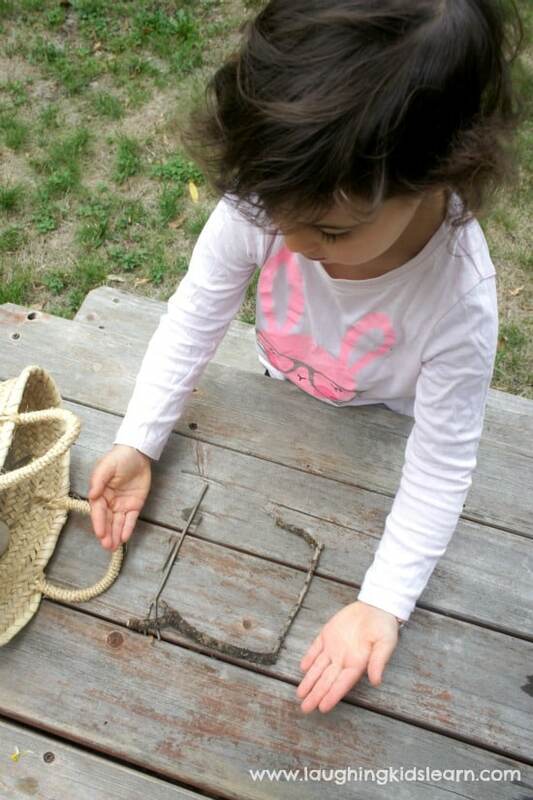 Have your children get hands on with nature and learn more about shapes at at the same time! 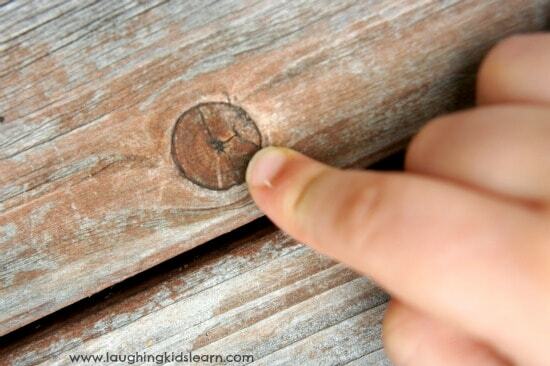 This outdoor activity is very simple, lots of fun and doesn’t cost you a thing! 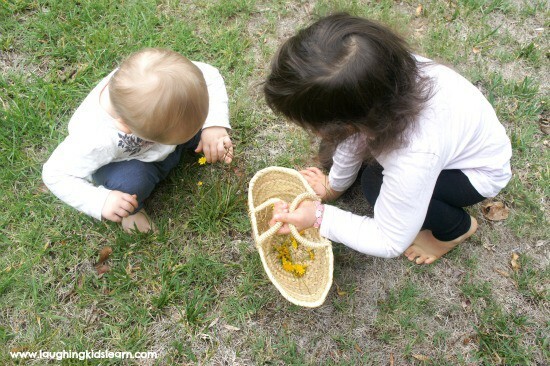 My two children, who feature on my blog Laughing Kids Learn, love being outdoors and collecting treasures found around our garden or at our local park. It’s a delight watching them pick up twigs, rocks, pieces of bark etc and look them over with such interest. With a full basket, we decided to do a fun activity and use what they found as a tool for learning more about shapes. My 4 year old, known on my blog as Possum, began grouping together her treasures and using them to demonstrate her understanding of shapes. 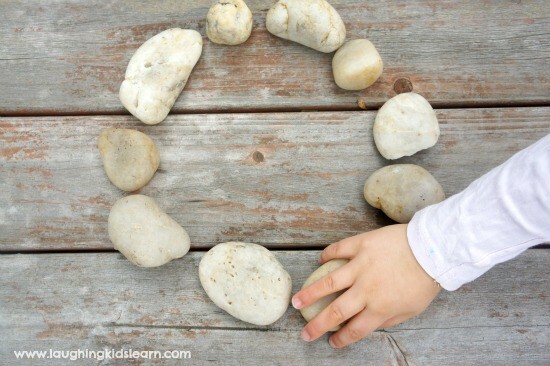 She started by making a circle using rocks. This simple activity gave us an opportunity to talk about various shapes and focus on what makes each shape unique. We also discovered that some of the treasures from the basket were easier to demonstrate shapes with than others. Possum found the long straight blades of grass were better suited to making squares than circles. There was some trial and error involved in making each shape. Using this approach to learning more about shapes also allowed us to explore measurement and how the size of the shapes can vary so easily depending on what you use. Our play with shapes didn’t end there. 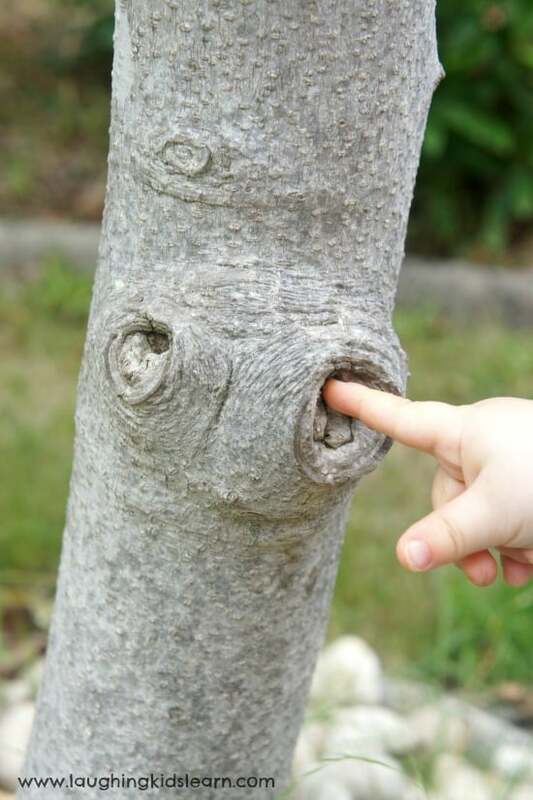 My children loved the opportunity to find shapes nature had created around our garden and we were surprised at how many we found. This activity is flexible and can be extended to suit your child’s needs easily by requesting they create more advanced and complicated shapes. 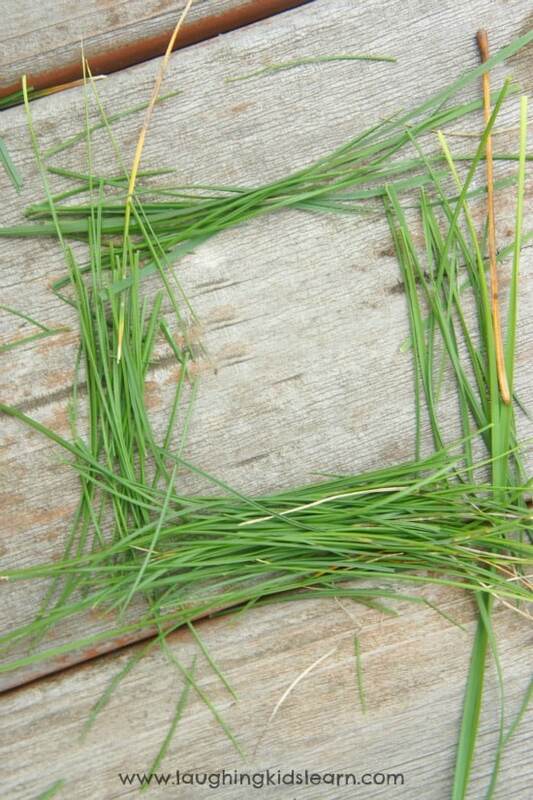 I hope you and your children find the time to get outdoors and use nature as a tool for learning more about shapes. Kate is an Australian primary school educator and busy stay at home mother of two. She enjoys supporting parents and teachers through her blog, Laughing Kids Learn, by sharing simple play ideas and activities that engage and excite children and inspire them to want to learn more.